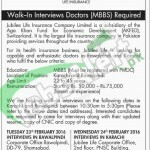 Here we are going to enlist a recent job opportunity from Jubilee Insurance Jobs 2016 Walk-In Interview Karachi & Rawalpindi is the well known and reputed insurance company which is subsidiary of the Agha Khan Fund for Economic Development in Switzerland is offering and seeking the individuals for the vacant position of Doctors who are having having the qualification of MBBS registered by PMDC with age limit of 22 to 45 years. The salary package initially will be offered worth's Rs. 50,000 to 75,000/ and is based on the experience and hard work of the applicant. Those candidates who want to make their upcoming future bright and successful and can do the work in this insurance company are welcome with a red carpet to surf their skills and prove their expertise in order to raise the development of the organization and be the shining star of the company. Let's have a look at this page which is working and striving hard for the sake of individuals and is providing the excellent job opportunities news everyday and keeps you updated so have a look and remain glued to this website if you are a job seeker. Now discuss about the vacant positions and applying criteria. Interested candidates are invited to come for the interview along with updates resume and CNIC copy and copies of all educational certificates on due date. The interviews will be held on Karachi and Rawalpindi. The interview will begin from 10:30 am to 5:30pm on dates of 23rd February 2016 at Karachi and on 24th February 2016 at Rawalpindi respectively. Last date to apply is 24th February 2016. Venue For Karachi: Jubilee Life Corporate Office, 2nd Floors, PNSC Building,. Lalazar, M.T Khan Road, Karachi. 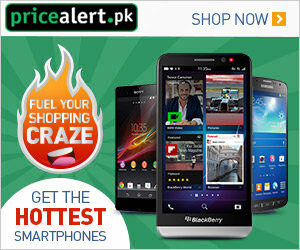 Venue For Rawalpindi: Corporate Office Rawalpindi, DD-79, Shamsabad, Main Murree Road, Rawalpindi.